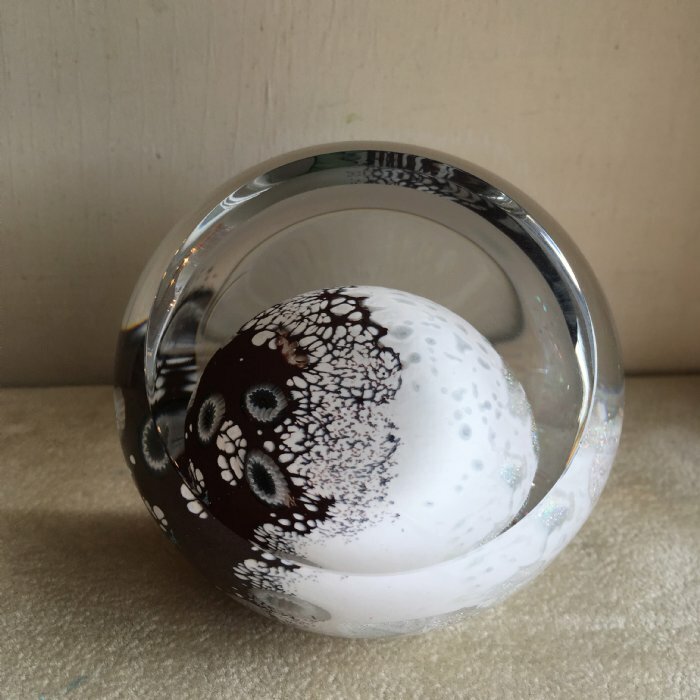 Approximately 3" diameter and handmade by Glass Eye Studio in Seattle, Washington. Weight is presented in a black collector box with blue velvet interior embroidered with the Glass Eye Studio logo. Includes story card.